Turn heads in a plus size evening dress from our new-season collection. Make a statement in bold colours or sparkle the night away in something metallic. From curve flattering formal dresses to jewel embellished evening gowns and prom-queen worthy designs, our selection offers fabulous occasion-wear dresses to suit every style. Elevate your occasion wear wardrobe with our range of plus size evening dresses. Whether you have a wedding, dinner party or a special occasion to attend, find curve-flattering styles that will make you look and feel fabulous throughout the event. Make sure you’re wedding guest ready with our range of plus size evening gowns. Ideal for those extra special occasions, our collection is filled with glamorous garments for you to choose from. 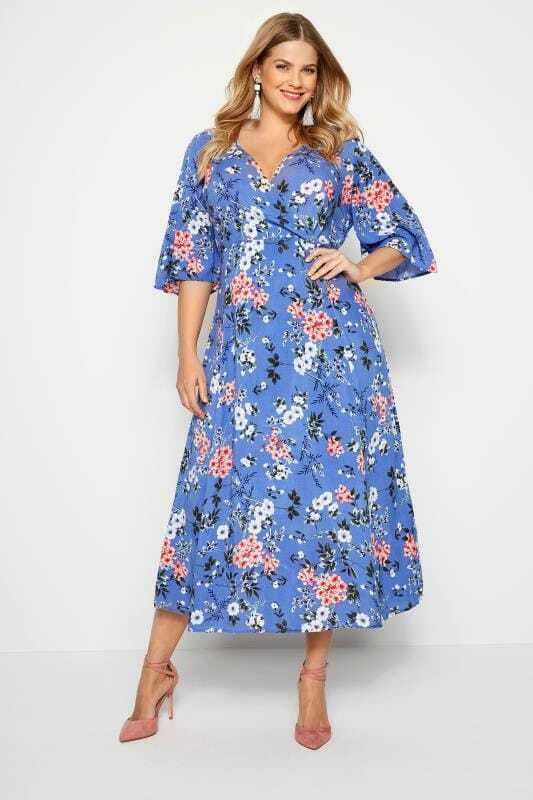 Think on-trend midi dresses and bold floral prints for the new season, or go for a figure flattering skater shape to make the most of your curves. Whatever your style, we’ve got your aisle-side look covered. Get that prom queen look with our collection of plus size formal dresses. Whether you’re looking for something simple-and-chic, or you want to make a statement, we have a range of designs for you to choose from. From sequin embellished maxi dresses to flared skater skirt designs, turn heads on the big night in one of our gorgeous gowns. Dress to impress for that special occasion with a new dress from our latest collection. From floor-sweeping chiffon ball gowns to sophisticated maxi dresses and head-turning lace designs, our range is bursting with on-trend styles for you to choose from. From strapless styles to plus size evening dresses with sleeves, find dresses to suit every season in classic, timeless designs.